This variety, which has a long history, has achieved almost mythical status throughout our land, though little is produced and it is hard to cultivate. We are the only producers in Pals that grow, process and package it. Of all known rice varieties, it is the most rustic and has remained unchanged over the centuries. Its grain is very small, round and pearled. It must be sown in the roughest land of the lake area and is one of the most demanding varieties in terms of the work required to farm it. 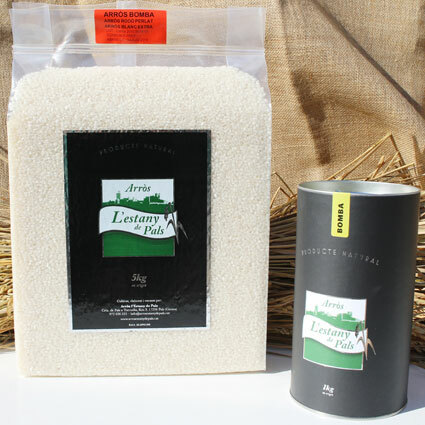 It is a very high-quality rice with a high capacity for absorption, does not readily turn stodgy, and has a special texture and taste. It is ideal not only for paellas, but also for casseroles and soupy rice dishes.